TORONTO - Hydro One and Avista Corp. say they have agreed to cancel their merger after regulators in Washington state and Idaho shot down the deal. 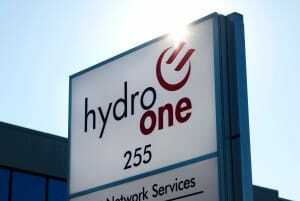 They say under the terms of the merger agreement, Hydro One must now pay Avista US $103 million in termination fees. Earlier this month, the Washington Utilities and Transportation Commission denied a request from both companies to reconsider its rejection of the Ontario utility's planned takeover of the American company. The request was issued after regulators found that the $6.7-billion planned merger would not sufficiently safeguard Avista customers from the whims of the Ontario government, which is Hydro One's largest shareholder. The regulator has pointed to Premier Doug Ford's efforts to force former Hydro One CEO Mayo Schmidt to retire —which was followed by the resignation of the utility's entire board — as a sign that the province was willing to put political interests above those of shareholders. The merger required approvals from state regulatory commissions in Washington, Idaho, Oregon, Montana and Alaska to go through, but only the latter two have approved it. Oregon's public utility commission opted last week to put its decision on hold. Ontario Energy Minister Greg Rickford said the Progressive Conservative government accepts the decision made by the two utilities, and will continue to focus on bringing down hydro rates for Ontarians.